Although thousands of people report employment discrimination every year, research shows that employers are rarely held accountable by the government. Many have no choice but to seek relief through the Equal Employment Opportunity Commission (EEOC), however, cases rarely get resolved that way. Every year, the EEOC and local and state partners only provide workers that are discriminated against with some form of assistance—such as addressing the discriminatory work condition—approximately 18 percent of the time. And according to the data, race claims have the lowest rate of success, with only a 15 percent chance of workers receiving some form of relief. The problem of workplace discrimination does not usually rear its ugly head via physical threats or slurs—although this does happen—even in 2019. Most of the time, complaint data indicates that it manifests itself via the hiring process, pay benefits, promotions, and the work that workers are assigned. For example, according to the data, employers are much more likely to consider hiring white candidates with criminal backgrounds than black candidates without any criminal backgrounds. Why Is This Happening & Who Does It Affect? As reported by those who have worked as attorneys for the EEOC, many cases fall through the cracks because they aren’t actually being professionally investigated. Pursuant to data obtained for 2010 through 2017, the EEOC closed most cases without even coming to a conclusion as to whether discrimination occurred. In fact, an “investigation,” in many of these cases, simply involved asking the employer for a response. Those who have worked for the EEOC and are experts on the agency indicate that this is because the agency is simply not provided with the resources it needs to complete the task. This makes it easier for the agency to simply close a case based on insufficient evidence rather than make an actual finding of discrimination. This makes it clear that the agency cannot even come close to fulfilling the goals that Congress set out for it 50 years ago or ensure that the Civil Rights Act is adequately protecting workers under the Civil Rights Act, and, unfortunately, this disproportionately affects black workers that report pervasive racial discrimination. Properly addressing the issue can be difficult, as, although the evidence of discrimination exists, unless litigation is filed and a case goes through discovery, it can be difficult for anyone other than the employer to access that evidence. In addition, nearly 40 percent of those who reported alerting the EEOC to discrimination also reported facing retaliation as a result. 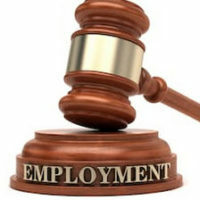 Given how rare it is for the EEOC and other government agencies to take action in the face of discrimination, if you have been the victim of an unfair employment decision or treatment, speaking with a labor and employment attorney so that you can hold your employer accountable in court may be your only option. Contact our Florida labor and employment lawyers at Douglas & Carter, Attorneys at Law today to find out how we can help.